In our current English topic, we’re studying the Rite of Spring by Stravinsky. It was a piece of music written in 1833 which has a dramatic ending. We’ve used similar composition techniques to Stravinsky to create our own version of his introduction. Mrs Fenniche was very impressed with our performances! In March, we celebrated British Science Week by taking part in daily science activities: shadow investigations and exploring how we see. In these pictures, we were using our knowledge of reflection to solve problems. We realised that we could angle mirrors to see over or around large objects. Next week, we will be using our learning to make a periscope. 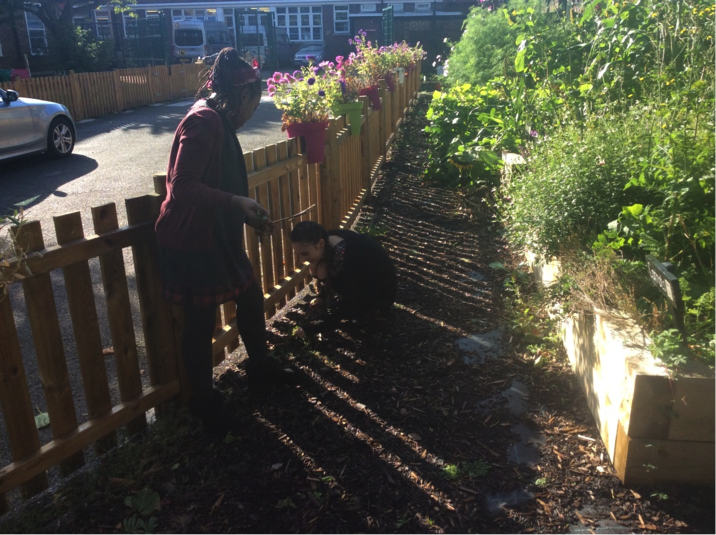 We love working scientifically and regularly undertake investigations in class. 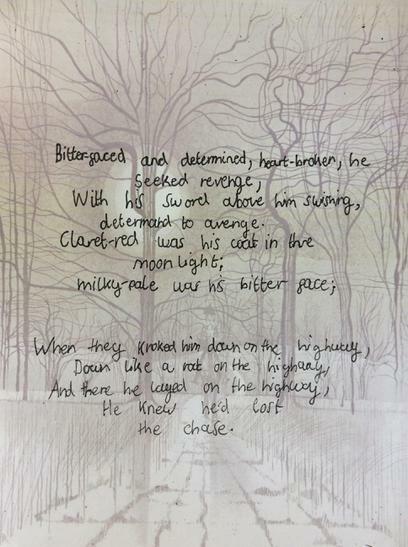 In Shanice’s work, she has written about an investigation into the strength of bridges. This year, we have also taken part in the BBC Terrific Scientific Program. After watching the episode, we decided to make our own fossils from salt dough. 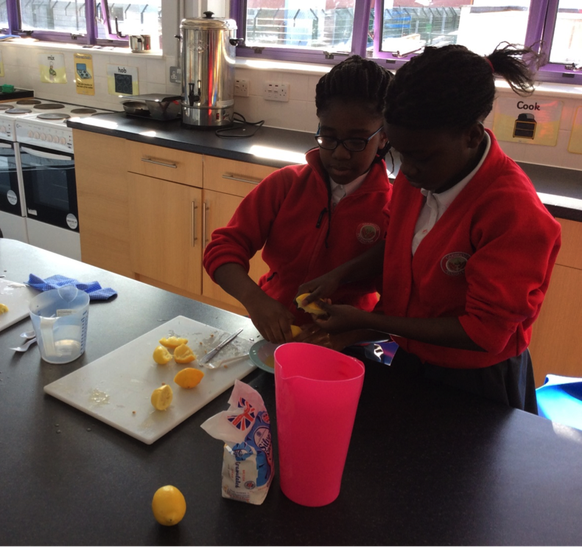 As well as SATS practise, we’ve been taking part in lots of practical maths lessons. We have taken part in treasure hunts across the playground, cracked crimes and completed ‘Kahoot!’ challenges on the iPads. 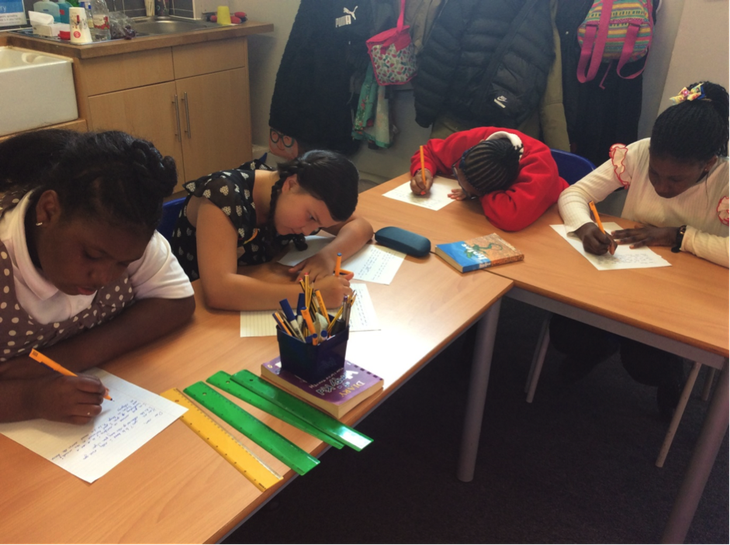 We really enjoy maths in Year 6! So far this year, we have met four of the LORIC characters. We have considered how their attributes could help us to be the best we can be. We have also had some visitors into school to talk to us about their careers. We have made lots of links to the attributes of the LORIC characters and the working world. For example, Mr Gonsalves, a talent acquisition manager, explained that initiative and communication were essential parts of his job! Mr Chamberlain, who worked in advertising, made us realise that organisation is imperative if you want to succeed in the working world. 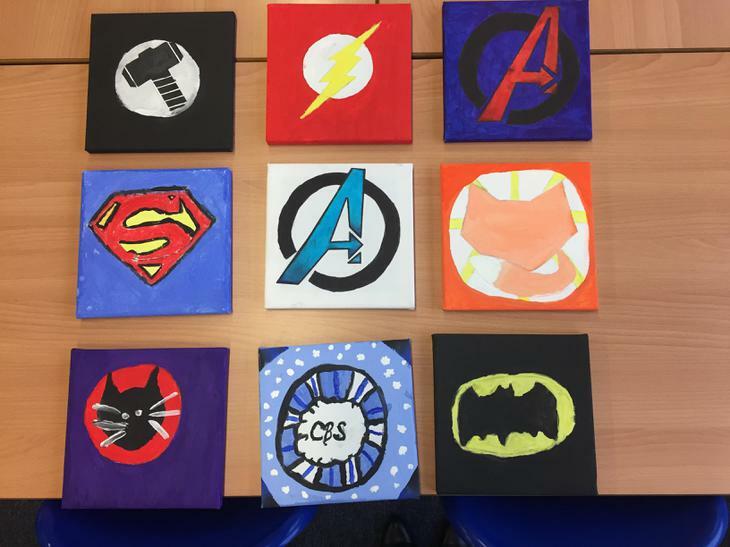 This term, we’ve been working our entries for the Leader’s Award project. At the beginning of the project we met with, and worked alongside, two engineers: Colin and Nick. They inspired us to design an invention which could change the world. We have drawn an image representing out invention, created a prototype, written an explanation text and written a ‘dragon’s den’ style pitch letter. We began by exploring the different types of fossils and debating which animals they might have come from. Next, we looked at the front cover of our class reader ‘Stone Girl, Bone Girl’ and used our inference skills to describe what we thought it could be about. Finally, we read the book and completed a ‘role on the wall’ to help understand the main character (Mary Anning) better. 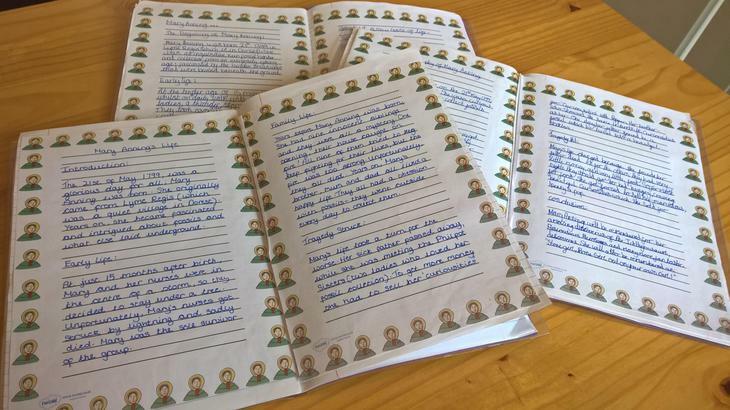 Once we were comfortably in character, we wrote diary entries and researched more about Mary Anning’s life. This formed the foundations of our biographies. 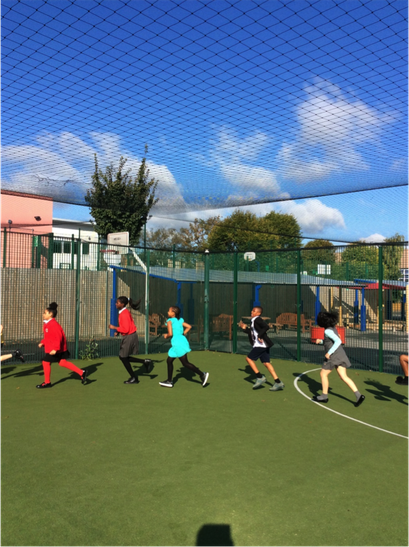 This Term, Year 6 were evacuated to different areas of the country. On the day, the children came to school dressed in 1940’s outfits. Some had even made their own identity labels and gas mask holders. The evacuees were gathered in the school hall where they were chosen by hosts who took them away to their new home. For some this was a very pleasant experience – those evacuated to North Wales played games and made homemade lemonade! 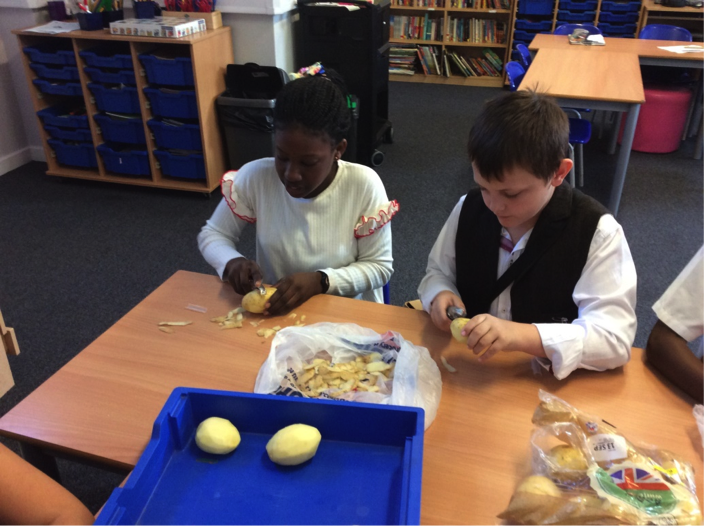 However, many of the children found themselves having to work hard for their keep by peeling potatoes and helping on the farm. Some of the evacuees were made to do exhausting army drills to prepare for a future on the front line. In our new homes, they wrote letters back to their families. Lots of the children spoke about their new way of life – including how difficult it was to understand some of the accents. Earlier this term, we studied ‘The Viewer’. 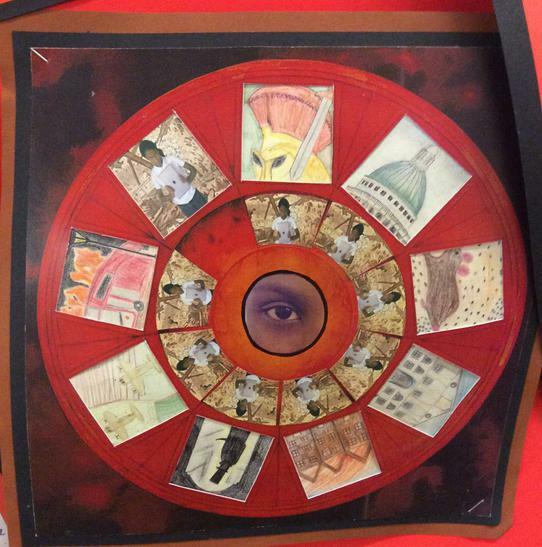 First, we looked closely at the artwork from the book, and how it affects the reader’s experience. Each child then went on to create their own artwork based on events from a historical period of their choice. As you can see from this example, the children’s artwork was very detailed and precise. They each researched their chosen period in depth and experimented by sketching to record their observations and later improving upon their designs. At the end of the story, Tristan mysteriously falls into the viewer and is trapped. 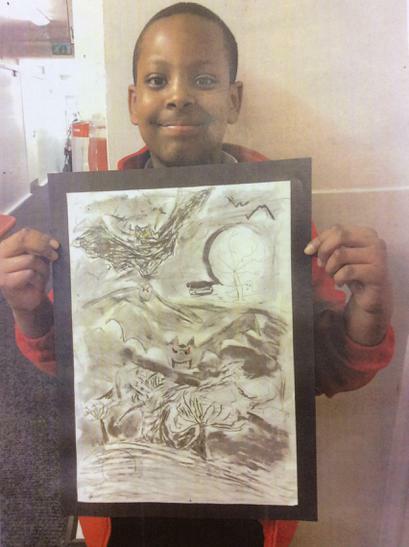 The children rewrote the ending, imagining that they themselves were Tristan - falling into the viewer. 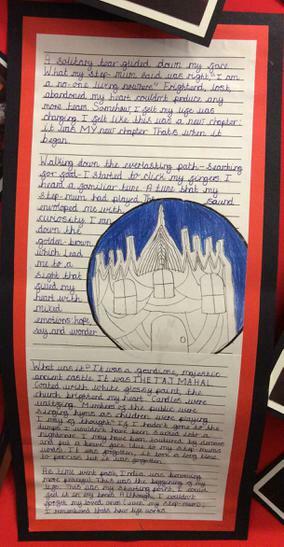 The writing that the children produced was fantastic – chillingly so! Both the writing and the art work are around the school. In one our narrative pieces, we turned beautiful, innocent little Goldilocks into a terrified, lost soul being chased through a shadowy forest. 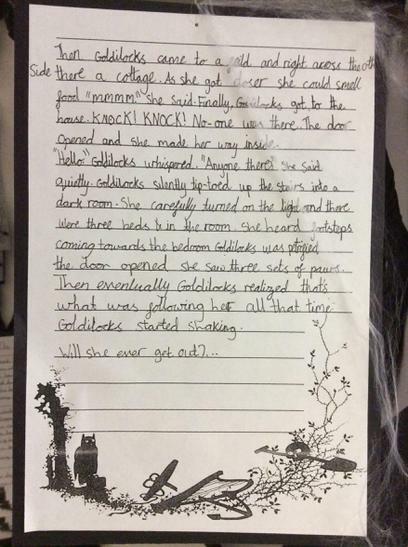 From the very beginning of this unit, the children’s writing tapped into those feelings of late-night fear that we are all well acquainted with and then they kept us enticed with well-written stories full of interesting characters. 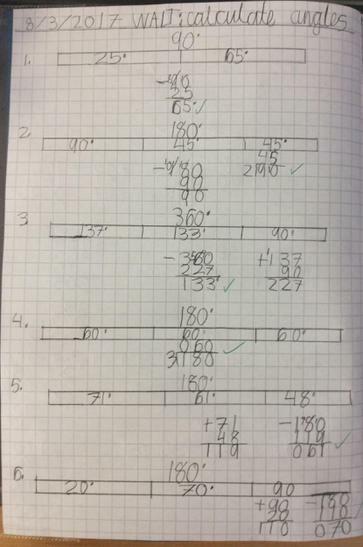 As well as SATS practise, we’ve been taking part in lots of practical maths lessons. We went bird spotting around Forster Park School. This is a graph created by India - it indicates how many Hawks and how many Eagles were spotted during each month of the year. 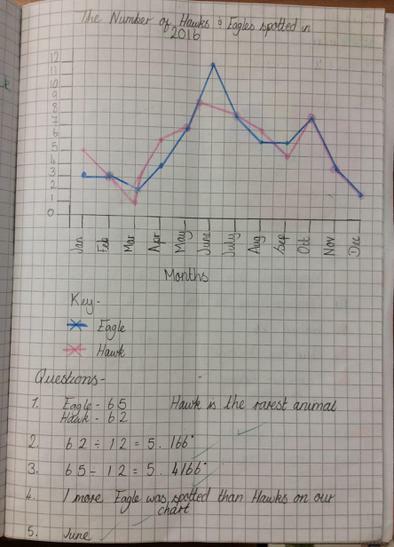 The children collected the data, plotted their graph and then used their graph to answer questions. Here, Harvey has calculated the missing angles by using his knowledge of right angles, straight-line angles and full circles turns. 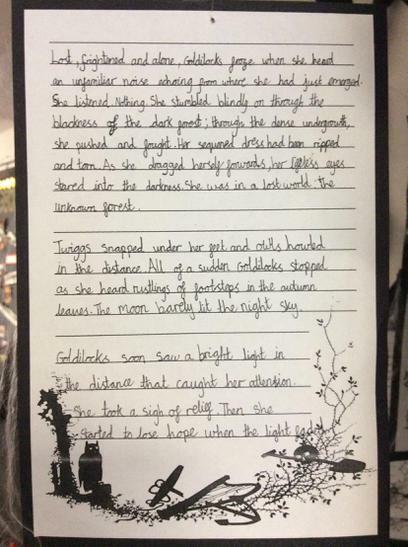 This narrative poem is one of Year 6’s absolute favourites: we all love a ghost story - especially one that’s full of romance! 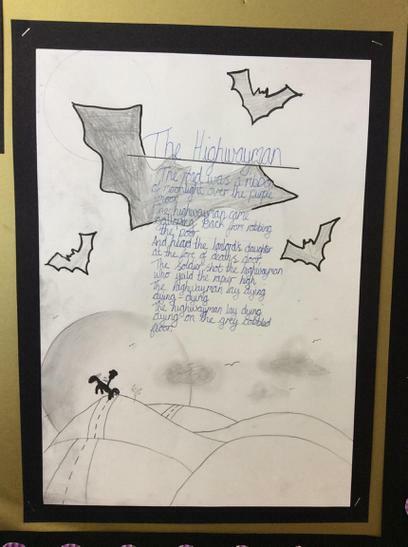 The language in The Highwayman is rich and vivid with the most wonderful imagery and this led to the children creating some fantastic artwork. We discussed our views on the themes in the poem and performed the poem aloud in class. Finally we wrote our own verse, paying particular attention to the rhythm and repetition as this is a fundamental part of Noyes’ original poem. In March, we celebrated British Science Week by taking part in daily science activities: planting seeds and bulbs, scientific reading challenges and a chemistry experiment with the Year 2 classes. This year, we have also taken part in the BBC Terrific Scientific Program. 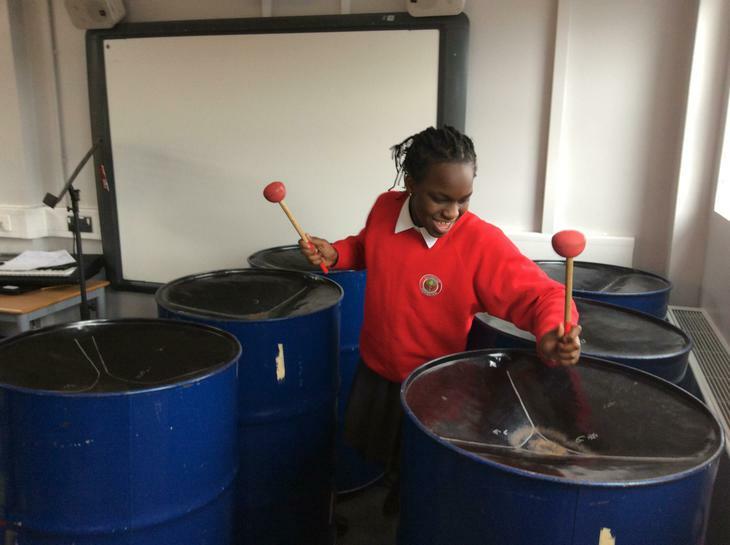 Photos of our Live Lesson made it onto the BBC Website! (Top left to bottom right) Deborah, Uvathika, Alfie, Malika, Apianka, Charlotte, Zayna, Susan, Tyler. 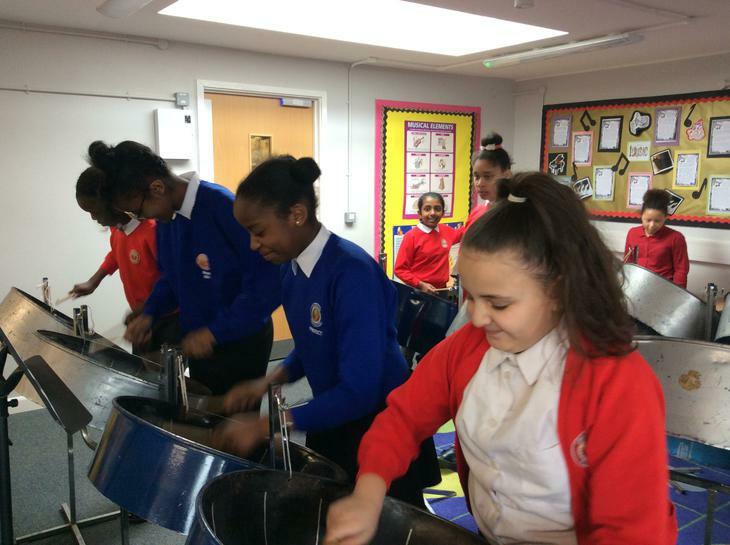 Finally, let’s not forget the talents of our legendary steel pan band!